I get requests all the time to create an article named “Medicare for Dummies”. I had written an article with the same name, but was basically a step by step guide to signing up for Medicare. It wasn’t really “Medicare for Dummies”. How much do you actually know about Medicare, one of the government’s most popular health insurance programs? You may have seen Medicare information appear in the news, heard about Medicare in the radio, or learned about it from people using Medicare right now. But, with the many different times you’ve heard of Medicare, chances are that you still don’t have a complete understanding of what Medicare is. If you’re interested in enrolling in Medicare or even simply learning more about Medicare, you’ve come to the right place here in this article, “Medicare for Dummies”. In this article, “Medicare for Dummies”, I’ll show you exactly what you need to know about Medicare. At the end of the article is the step by step guide on what to do- so you will have the Medicare for Dummies information, along with the guide of how to enroll when the time is right. First of all, what exactly is Medicare? According to Medicare.gov, Medicare specifically serves “people who are 65 or older, certain younger people with disabilities, and people with End-Stage Renal Disease.” If you’re over the age of 65, to be eligible for Medicare, you must be either a U.S. citizen or legal resident, and you must have lived in the U.S. for at least five years, If these apply to you, chances are, you might receive a Medicare card automatically right before you become eligible. Otherwise, you might need to separately apply for the benefits of Medicare. Even though you might get a card automatically if you are taking Social Security payments, we recommend that you apply for it three months before your birthday. More importantly, you should understand why having Medicare is beneficial. Because Medicare was designed with the intention of benefiting individuals in their retirement, its fees are generally lower than regular health insurance premiums. In many cases, retired individuals are able to get Medicare Part A health insurance for free if they have worked and paid Medicare taxes for at least 40 quarters. According to Medicare.gov, Part A covers hospital care, skilled nursing facility care, nursing home care, hospice, and home health services. 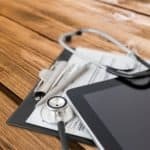 For more specific information on Medicare Part A coverage, eHealth has an excellent article that explains Medicare Part A in depth. In addition to Medicare Part A health insurance, another popular insurance offered by Medicare is Medicare Part B medical insurance. While Medicare Part B medical insurance does require paying a monthly premium, it covers most medical services including preventive care, x-rays, mental health care, and some ambulance services. Medicare for Dummies- What if you are still working? In some situations, if you still have health insurance from your union or former employer by the time you are eligible for Medicare, your existing health insurance could be kept, or you can apply for Medicare as long as your employer group plan will coordinate with Medicare. Some people choose to go with a Medicare Advantage Plan when they turn 65, even if they are eligible for group coverage. These plans are private health plans that receive funds from the government but are managed by unions or companies for you. The Medicare Advantage Plan also covers benefits that are found in a regular Medicare plan. These plans are often managed care plans where you will need to go to network providers in order to receive coverage. There are also other restrictions that you have with Medicare Advantage that you do not have with original Medicare Parts A and B, but you will have a cap on Health Care Expenses (called a Maximum Out of Pocket) that you do not have with original Medicare only. You can, however, limit your out of pocket expenses with original Medicare if you purchase Medicare Supplement Insurance, also known as a Medigap policy. NOTE: You will always want to discuss how applying for Medicare can affect your existing group coverage with your Human Resources department BEFORE you apply for Medicare. Whether you get the original Medicare with a Supplement Plan, or a Medicare Advantage Plan, you are bound to receive many health benefits at a low to no copay or coinsurance amount. If you don’t automatically qualify for Medicare and receive a card prior to turning 65, you should still apply to Medicare to see if you can qualify. For more specific information on your eligibility, the government has created an eligibility and premium calculator that can tell you whether you’re eligible or not and the premium you’d be expected to pay should you be eligible. To find out about your eligibility and the cost of your premium should you be eligible, click here to use the government’s Medicare calculator. To apply for Medicare, you can submit an online application through the Social Security website here. On this page, you are able to save your application if you need to come back to it later and also check on your application status after you have submitted your application. 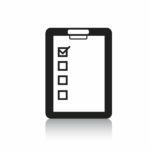 The Social Security Administration also includes a helpful checklist that will help you in gathering the appropriate information when applying for Medicare. In most cases, people are able to begin applying to Medicare three months before turning 65. The initial enrollment period goes from three months before your 65th birthday until 3 months after, but if you miss your initial enrollment period, you can sign up during the general enrollment period each year which go from January 1 to March 31, with coverage beginning on July 1st. However, if you miss your initial enrollment period, you may have to pay permanently higher premiums due to late enrollment. That’s why it is so important to understand what Medicare is and how it works beforehand so that you’ll be well prepared when the day comes for you to either sign up or apply for Medicare. Because Medicare still involves deductibles, copays, and coverage exclusions, it does not cover all of your health and medical costs. 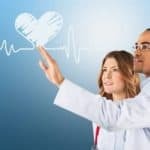 In some cases, much of the cost not covered by Medicare might be covered by “Medigap” insurance policies which are offered by different insurance companies. For more information on how Medigap policies work, click here. With all the benefits offered by Medicare, it’s easy to understand why someone would want Medicare coverage. With the government’s support, Medicare simplifies health and medical insurance and removes an otherwise potentially significant financial burden that the Medicare Eligible might have to face in medical bills. After having read all of this information, if you’re eligible for Medicare, you should definitely sign up or apply for Medicare to reap your benefits. Hopefully, you’ve now reached a much more comprehensive understanding of what Medicare is by this point and what you might be able to get should you enroll in Medicare in the future by reading Medicare for Dummies. It might all seem like a lot now, but you’ll be thanking yourself in the future. If you prefer, you can watch a 93 second video that explains what to do HERE. If you’ve already turned 65 you can attest to the great stacks of mail that you received during your initial enrollment period for Medicare. This is the time when all of the insurance companies will be soliciting you for your business. Agents and brokers like me will also be soliciting you as well. The problem is that all the mail you receive tends to make things more confusing, not easier to understand. That’s why I’ve created this simple guide: Medicare For Dummies: Step by Step Instructions. This guide is a Cliff notes version of what you can do to prepare. 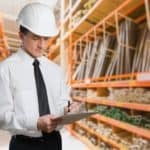 In no way is it a complete list—for a more thorough understanding you need to contact your insurance broker. If you don’t have one, feel free to give us a call at 866-445-6683. 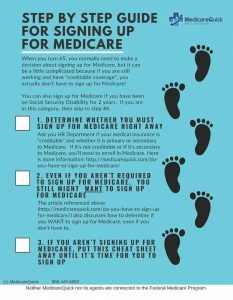 Below are step by step instructions, or “Medicare for Dummies when you turn 65”. 3 months before your 65th birthday, go to www.Medicare.gov and sign up for Part A. This is normally free of cost if you have worked enough and paid into the Medicare System. If you are retired then you will most likely want to sign up for Part B as well. Part B will have a premium. In 2016 the standard Part B premium is $121.80 per month for most people, but you may pay more. For more complete information on Part B, you can go here. If you are still working, you will want to talk to your Human Resources department BEFORE signing up for Part B. In California they cannot encourage you to leave their plan to join Medicare, but they can give you the details about how their plan works and whether signing up for Medicare Part B will invalidate their plan. Because regular Medicare does not cover everything (you have deductibles and then it usually covers 80% of covered costs under Part B), determine whether you would rather have a Managed Care option (Medicare Advantage) or a Medicare Supplement plan that allows you to go to any doctor that accepts Medicare. Many times this will be an issue of whether you can afford the premium on the Medicare Supplement Plan. If you need help determining which plan is best for you, you can call us at 866-445-6683. If you choose a Medicare Advantage plan, you will want to be sure that it covers medications, unless you have a separate plan (Veteran’s Benefits, Retiree Benefits, etc). You cannot purchase a standalone drug plan and a Medicare Advantage plan. If you choose a Medicare Supplement plan, you will want to purchase a standalone drug plan. That is, unless you have other creditable coverage, for example, VA benefits. For information on why you need a drug plan, even if you do not take any medication, click here. Do not cancel your current insurance until you have confirmation that your new plan is in effect. If you are getting two plans, for example a drug plan and a Medicare Supplement plan, wait until you have confirmation that both plans are in effect. Once you have that confirmation, you can cancel your former plan(s). If you went with a Medicare Supplement Insurance (Medigap) plan, then you do not have to do anything. If you live in California, we have the Birthday Rule, so you can check your premiums every year to be sure that you are paying the lowest rate without having to worry about whether you will medically qualify. If you live outside of California and want to change companies, you will have to qualify medically. If you went with a MAPD plan you should check the plan each year to be sure that it still meets your needs. If not, you can change during open enrollment period for the next calendar year. If you have a standalone Prescription Drug Plan, you will need to check the plan each year to be sure it still meets your needs. If not, you can change during open enrollment period for the next calendar year. If you would like assistance with choosing either a Medicare Advantage Plan or Medicare Supplement Insurance, feel free to give us a call at 866-445-6683.